Here’s something really important that I discovered on my journey through self discovery: Your soul already has the many wonderful and beautiful qualities that you have admired in saints and revered teachers. As you deepen your relationship with your soul through your journey through self discovery, these qualities will automatically emerge in your life as a result of the soul solution process rather than as goals you must work for. In fact, connecting with your soul and spirit is the key to all the miracles you have read or heard about. To tell you how I discovered these processes, I must first relate my own experiences. I first became aware of spiritual healing in the 1960’s when doing an intensive study of the Bible. I read about so many different kinds of healings that I knew this was something I had to learn more about. In 1969 I had my first assignment as a minister of a Christian church, which was to be my life for twelve years. I was pastor of several churches during that time and practiced hands-on healing by anointing people with oil and praying over them following Biblical descriptions. I did this with many hundreds of people through the 1970’s and saw some remarkable healings take place. I particularly remember one elderly lady in my congregation I had known for years who was having a gall bladder attack and asked me to come to the hospital immediately to pray for her. I rushed over and found her in severe pain and waiting to be scheduled for an operation. As I laid hands on her and fervently prayed for her complete health and wholeness, she suddenly exclaimed, “Wait. The pain stopped.” I had barely begun my prayer and had no sooner put my hands over her when the gall bladder attack stopped. She sat up with a smile saying, “I know I’m healed!” She was right. She never had a problem with her gall bladder again. Since I had her in such a positive state I asked her if she wanted me to pray for her chronic diabetes, which I knew she had suffered with for many years. But she forcefully told me, “Oh, no. God would never heal me of that. I’ve had that too long.” This particular instance always perplexed me. It stands out in my memory because even though she had just experienced such a dramatic healing, she still did not have sufficient belief and conviction to be healed of her diabetic condition. On another occasion another instance really struck me as profound. At about 4 a.m. I was awakened by the phone ringing, wondering who would be calling me at that hour. On the other end of the phone was a frantic father telling me he was at Children’s Hospital in Los Angeles and his new born baby was seriously ill and could die. The only possible hope was an immediate blood transfusion. I had just moved to California and I was a considerable distance from the hospital and had no idea how to find it, so I told him not to worry because I would pray and do a healing treatment that would be as effective as if I were there personally. I was even more focused because I could not be with the baby in person. I immediately closed my eyes and did a healing treatment. Four hours later the father called me again to say that as the doctor and nurses were wheeling the baby into the operating room to do the transfusion, and the doctor noticed the baby was no longer having difficulty breathing and color was returning to him. The father related how the doctor observed the baby return from near death to a healthy state in fifteen minutes. The baby did not even need a blood transfusion or any other therapy and was discharged later that day. The father reported that the doctor said they had all witnessed a miracle. When I did the healing work on the baby, I still remember being able to clearly see the baby before me as I laid my hands over him. I watched as his little body became brighter and brighter with light, and I knew when I was done he had been healed. By this time my wife was up and saw me in the darkened room making strange swirling motions with my hands in the air and asked me what I was doing at 4 a.m. This was certainly not my normal custom. I had never done anything like this before, but healing practices became a newly awakened awareness and ability that I have used many times since that morning. I learned three important observations from these and many other related experiences. One, I didn’t need to be present for a person to experience healing. Two, in some cases people have blocks that prevent them from receiving the healing they need. Three, I was somehow able to see people at a distance that I was doing healing work on. As time went on, I gradually found that when I was counseling people, I would sometimes see patterns of color and images around them. For instance, I remember Barbara, a middle aged lady who told me she had a chronic distracting twitching in her neck for many years. She had actually come to talk to me about a problem she was having in her marriage, but as I was watching her talk, I noticed what appeared to be a faint spectral image of a rope around her neck. I told her to close her eyes and put her attention on the feeling in her neck. She immediately began to feel a tightness and a choking sensation and her neck started to spasm. I could still see the image of the rope around her neck, and I started brushing it off as if I were trying to shoo it away with my hand. To this day I don’t know why I did that, but surprisingly her neck stopped twitching. She later told me that she believed she had been hung or choked with a rope in a past life and I was seeing the latent image of the thoughtform that was still with her due to her strong emotions. Even though she did not have this past-life belief before her session with me, as I was clearing the image of the rope off of her, she said she had images which she believed were her past life memories. In any case, the problem with her neck was gone. This was my beginning more than 40 years ago with being able to tune into non-physical energy patterns around people and help them to clear them. Because I could now see the blocks of what people were holding on to, I could help them release their blocks which led to improvement. I then began to apply the techniques to more than illnesses. I found that I could discover and clear other types of blocks to a person’s success or spiritual growth. 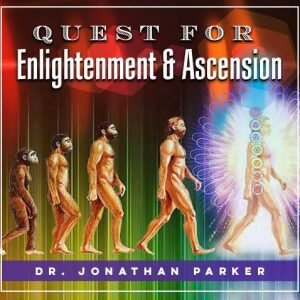 This really drove my motivation to apply these techniques to help people experience spiritual awakenings and live a more enlightened life. At about the same time I was discovering these amazing things about healing, other spiritual shifts and awakenings were happening within me. My first experience occurred in 1976 when I was 31. 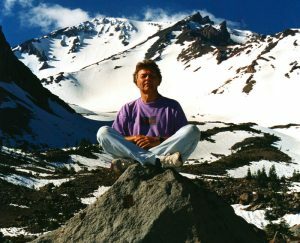 I had been on a spiritual path since I was a teenager with a goal of reaching as high a state of spirituality as possible. I was deeply sincere and relentlessly pursuing truth through self-examination and self-discovery. At the time I was a pastor of a church in Kansas. One evening while preparing a sermon for the next weekend I experienced a dramatic shift in consciousness that elevated me to another world. I remember thinking about Dorothy in the Wizard of Oz, who was swept up and she suddenly realized she wasn’t in Kansas anymore. Like Dorothy, my world was suddenly and forever changed. I wasn’t doing anything to cause the shift in consciousness I experienced other than earnestly wanting to know truth. At that time I didn’t know anything about meditation or other practices commonly associated with enlightenment, but that evening while sitting in my study, something happened that made me feel as if I were recalling ancient memories of initiations. I felt as though I were being pulled through the universe and into a vast expanse of space that was filled with the most loving presence I had ever experienced. I felt as though I were floating in an overwhelming ocean of love, and I was viewing the beginning of creation before any other beings existed. Here I discovered a vast, universal, self-existent intelligence that brought a deeply blissful and loving experience. Out of that state of fulfillment arose the idea and means of further experiencing and expanding love. And so I realized that the miracle within every being is that each of us is created with the capacity to feel love, experience love, receive love, give love, express love, radiate love, and be love. I saw this as the purpose of our existence because to feel love is to remember who we truly are. Love is our true essence, and the gateway to that remembrance is through the heart. I felt my heart expand into the ocean of love with the revelation that everything and everyone’s soul is made out of that ocean of love, and by going into our heart, we can connect with our soul and completely reconnect with our divine essence and divine love. I was to discover that my immersion into the ocean of love was just one of a series of awakenings that came so rapidly that my life quickly changed. These new revelations shifted my awareness to realize that my view of everything was a massive collection of stories, myths, and perceptions that had been handed to me by others. Now, I could see everything with a new clarity that those around me seemed blinded to. The awakenings were like a series of revelations or epiphanies that came in clusters, sometimes every few days and sometimes with weeks in-between. At that time I was not able to find much about what was happening to me or people to discuss it with, and since much of what I experienced seemed so radical, I had to keep most of it to myself. Undoubtedly, some people might consider these states of consciousness to be fantasies or delusions, probably because they have not experienced them for themselves and therefore don’t believe they are possible or real. Because most people have not had the type of consciousness shifts I am describing here, they have no internal reference to understand that a person who experiences these transformations relates to life in a different way from others. For me, every shift was always beyond anything I imagined. I have had many profound consciousness transformations, with each one taking me further and deeper. They continue happening to this day because I maintain a daily practice of meditation and do extensive work with others in meditative states. In my view enlightenment is an ongoing process, not a destination. At each unfolding level of consciousness, the experience of life changes. For example, a person can feel love in many ways and to various depths. Each experience may be described as love, but the way in which it is experienced can be significantly different for each person. In addition, some of the qualities are not deeply experienced with the first enlightening experience. For instance, some people feel oneness and bliss in meditation, but they do not necessarily have their thoughts completely stop and their mind become permanently quiet with no uninvited thoughts. On the other hand, some people experience both. Some have transcendent experiences of emptiness, but they may not have their negative emotions dissolve and eliminated; these states may come with future shifts. No doubt a person’s commitment to ongoing spiritual practices affects their progress. I have personally worked with thousands of people in workshops, meditation retreats, and one-on-one sessions and have seen people make shifts at all levels, so I know it is possible for everyone. I have done more than 40,000 personal sessions with people, helping them through their pain, struggles, and obstacles to achieve a deeper understanding of their true spiritual nature. 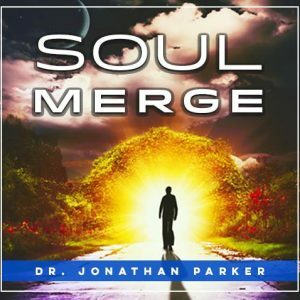 I have progressed from the type of healing work I have just described in the early part of this article to helping people form deep and lasting integrations with their spiritual nature. I have discovered simple techniques and the word patterns that make these processes very effective for everyone, and you can discover that you can access these same procedures to unfold and create the life you may have only read about before. 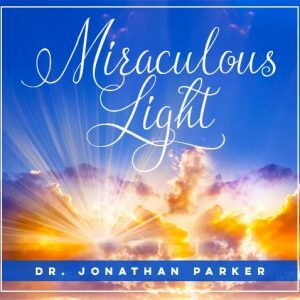 If you’d like to read more about one of the most amazing miracles I’ve had, read my article on The Miraculous LIght – Click Here.